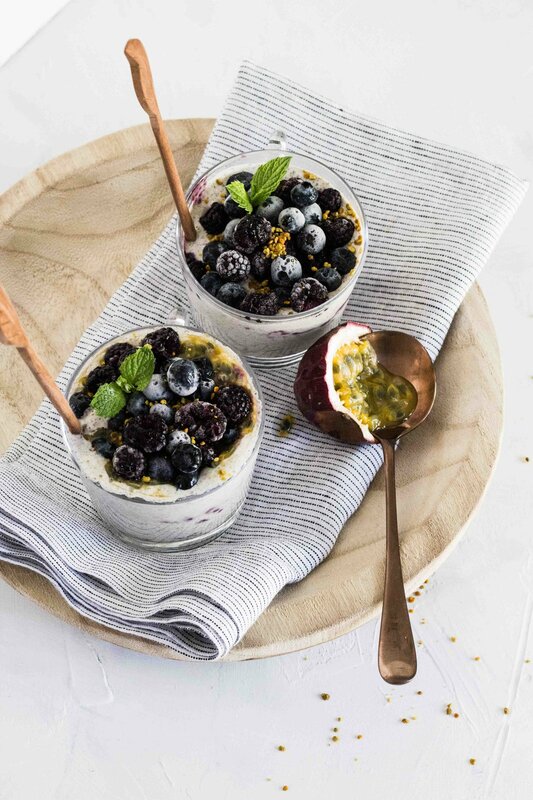 Add a hand full of berries to coconut yogurt for a delicious and healthy new morning ritual that may help keep memory sharp as you age. Berries are packed with antioxidants, called anthocyanin, a compound with anti-cancer properties. All berries are great sources of fiber, a nutrient important for a healthy digestive system. The live cultures in yogurt are also good for digestion. Chia coconut yogurt is my favorite way to give cows a break at the milking stand and help to reduce the carbon footprint of my diet. Go vegan at least once in awhile for a happy cow, happy planet and a healthy you.